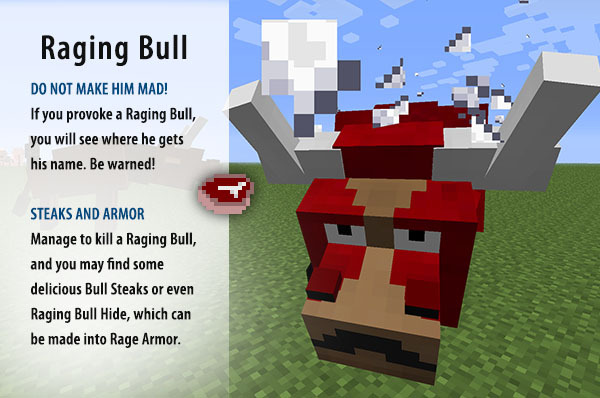 TIP: Collect some Raging Bull Hide to make Rage Armor! TIP: Enraged Bulls will randomly select targets to smash. However, if you have provoked them, then you are on the list! TIP: Bull Roast Steaks are one of the most delicious and replenishing foods there are.